"Simulated Basic Skills Training: Graduate Nursing Students Teaching Me" by Janet Hale, Sarah M. McGee et al. For a number of years, Advanced Practice Nursing (APN) students have taught interested 1st year medical students to perform intramuscular injections prior to their participation in community flu clinics. 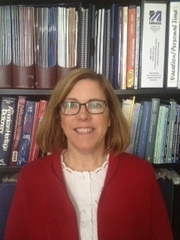 When several 4th year medical students needed documentation of competency in intravenous (IV) cannulation prior to participating in an elective rotation at another institution, the Medical School's Dean of Students called the Director of Interdisciplinary Partnerships in the Graduate School of Nursing to request assistance. In fact, all medical students need IV therapy training prior to graduation, not just those who seek out visiting clerkships at other medical schools. Integration of IV training into the Undergraduate Medical Education Surgery Clerkship Curriculum supports the clinical objectives of the Surgery Clerkship along with the developing use of simulation within in the medical school. This need led to the development of this interdisciplinary simulation education initiative. Presented at the 2008 Society on Simulation in Healthcare Conference. Hale, Janet; McGee, Sarah M.; Zanetti, Mary L.; Rogoff, Mai-Lan; Taylor, Melinda F.; Kelly, Carolyn; Cahan, Mitchell; Klar, Robin Toft; Jaffarian, Carol A.; Hollins, Sheldon L.; Chellali, Linda; DeGurski, Steven; Plourde, Melissa; Lattanzi, Susan; DeFosse, Ann; Bettez, Nancy; Morrison, Joan; and Quartey, Stella, "Simulated Basic Skills Training: Graduate Nursing Students Teaching Medical Students: A Work in Progress" (2008). Office of Institutional Research, Evaluation, and Assessment Publications and Presentations. 16.